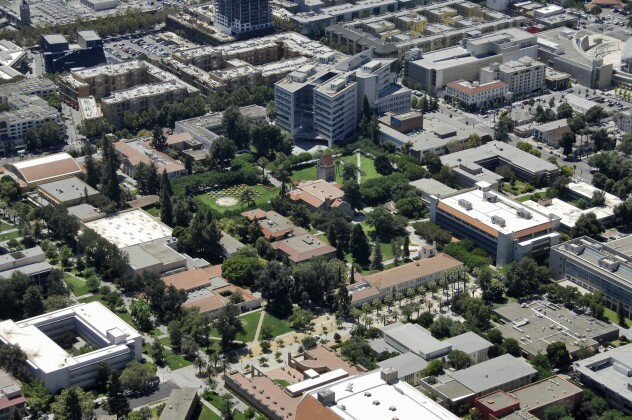 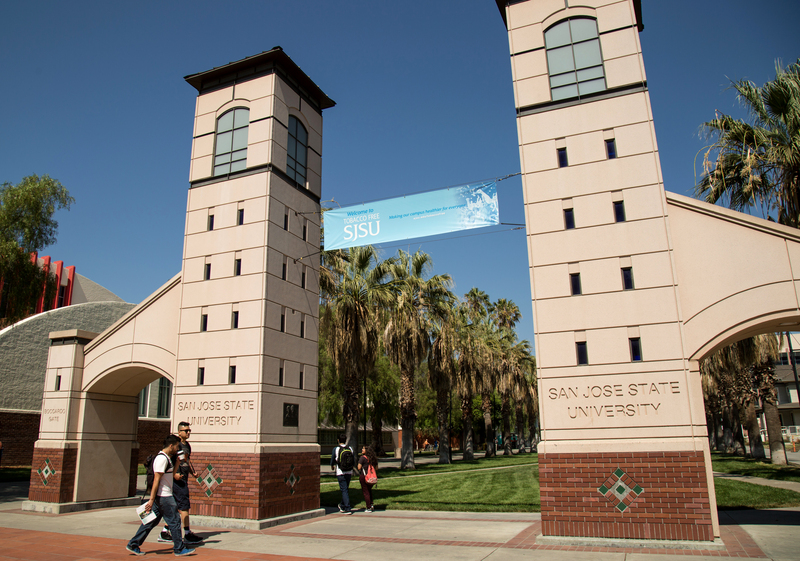 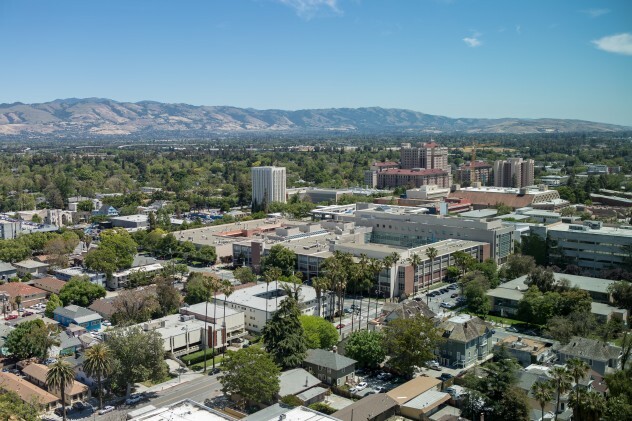 San Jose State University campus and surrounding area (Photo: David Schmitz). 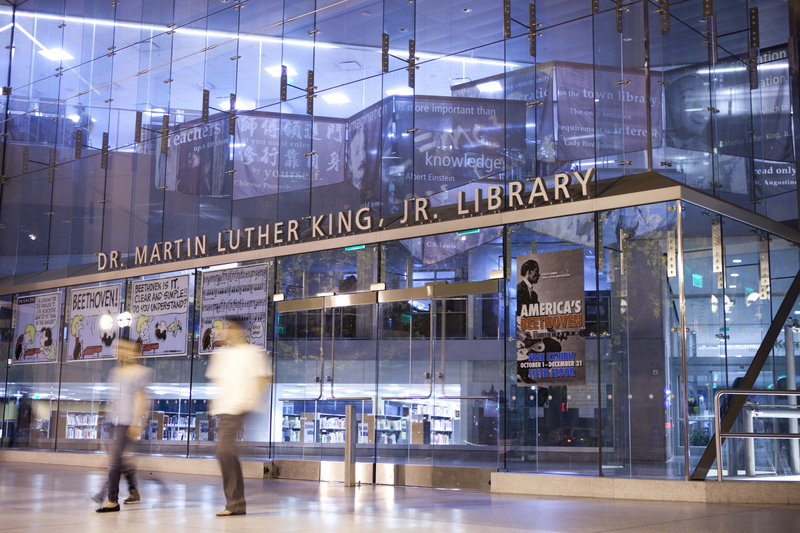 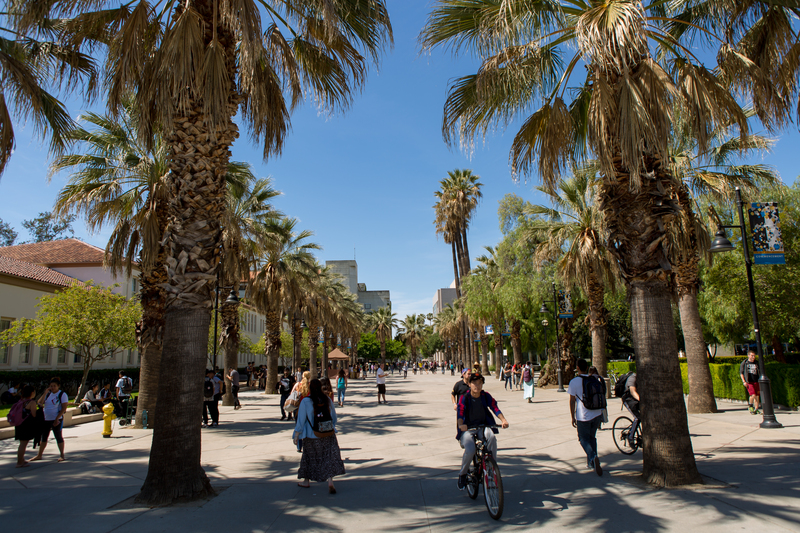 The Paseo de Cesar Chavez at San Jose State University (Photo: David Schmitz). 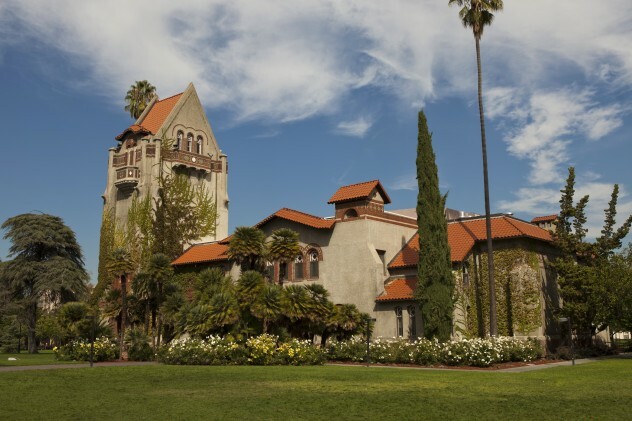 Tower Hall at San Jose State University (Photo: David Schmitz). 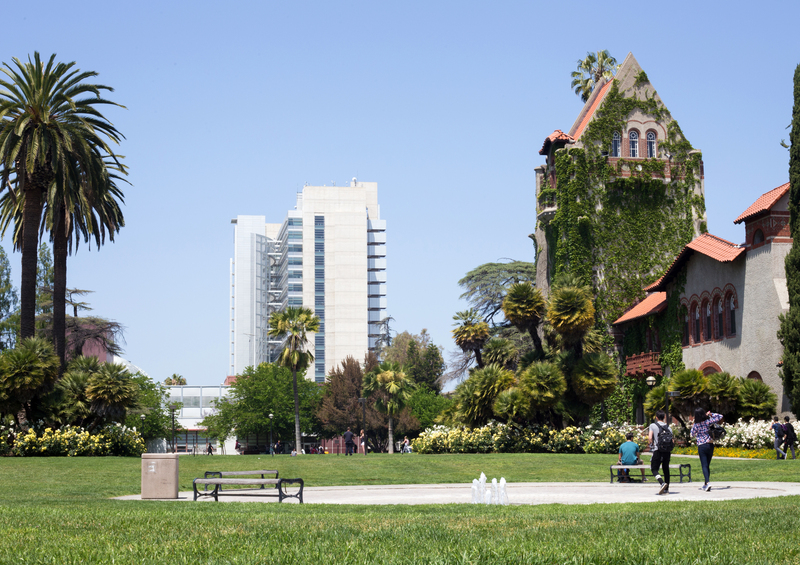 Tower Lawn at San Jose State University (Photo: Muhamed Causevic). 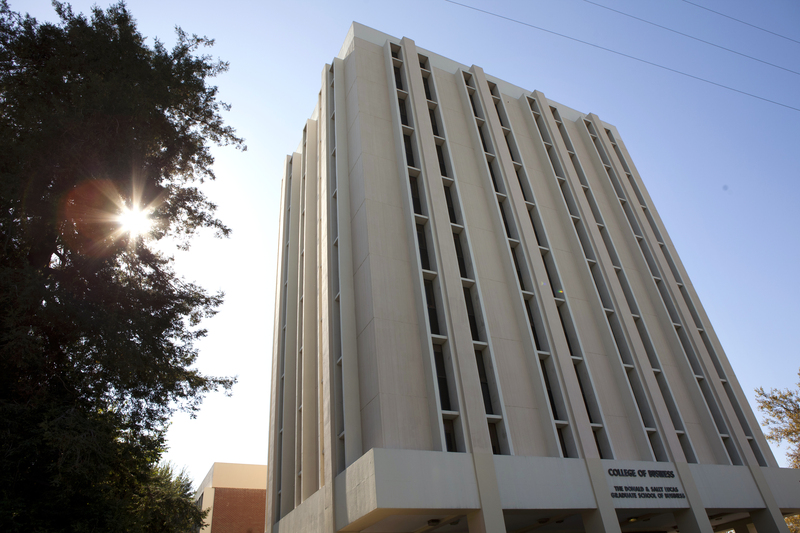 The Charles W. Davidson College of Engineering at San Jose State University (Photo: Muhamed Causevic). 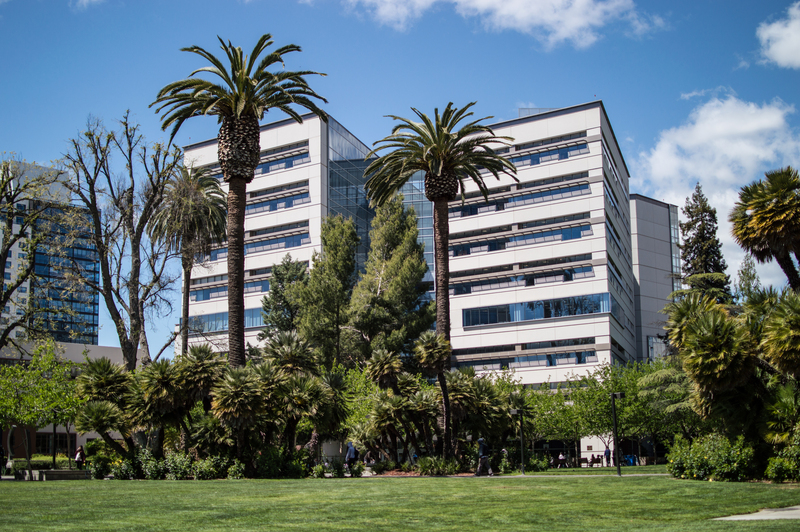 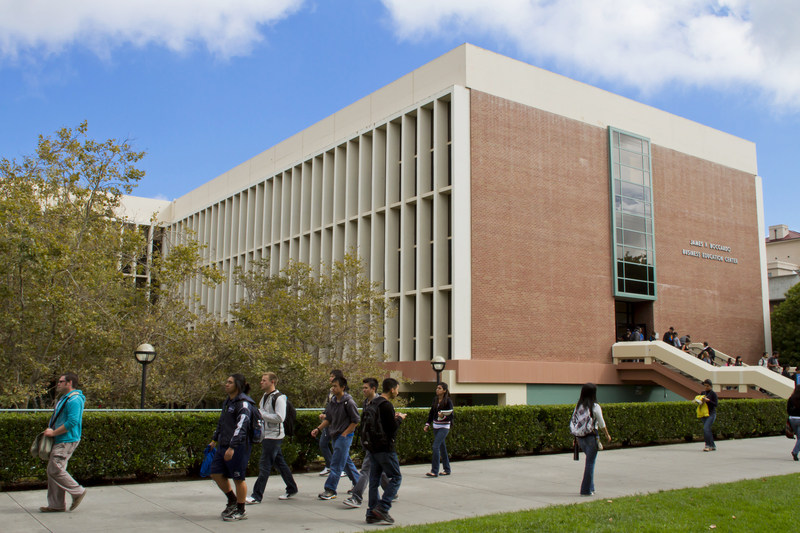 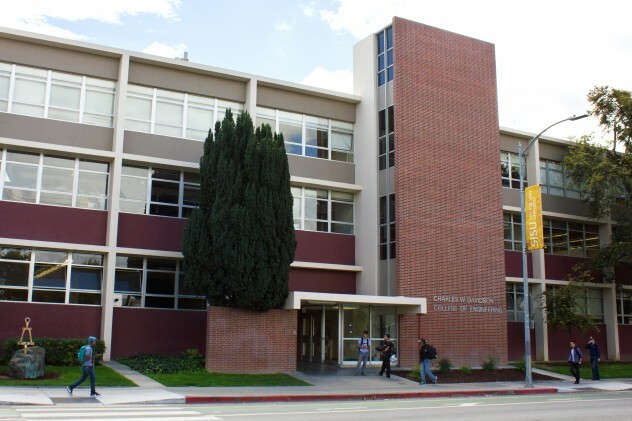 The Lucas College and Graduate School of Business at San Jose State University (Photo: David Schmitz). 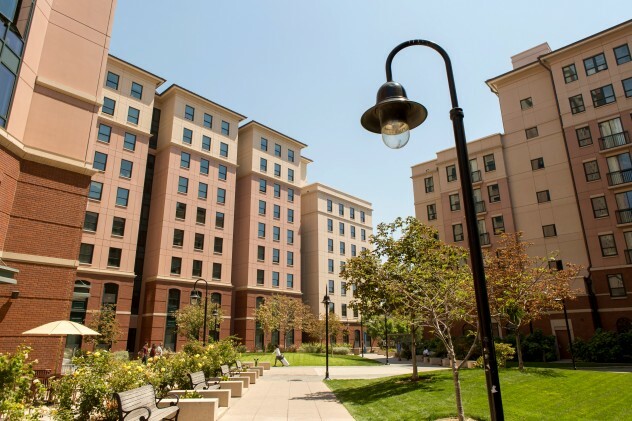 Campus Village, San Jose State University Housing (Photo: David Schmitz). 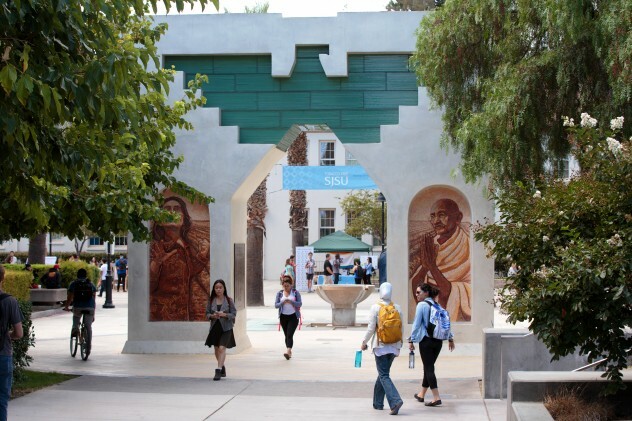 The César E. Chávez Monument: Arch of Dignity, Equality and Justice at San Jose State University (Photo: Muhamed Causevic). 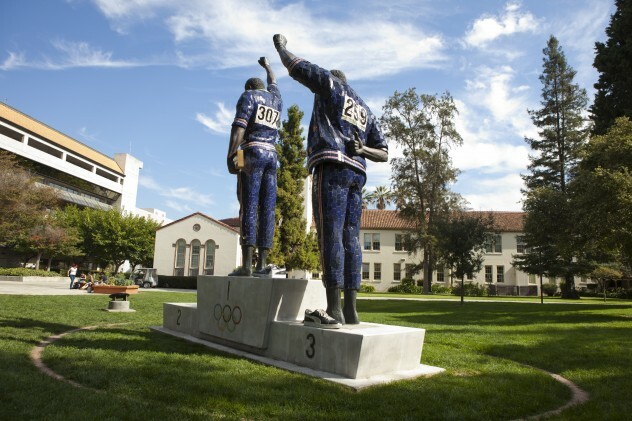 The Tommie Smith and John Carlos sculpture at San Jose State University (Photo: David Schmitz). 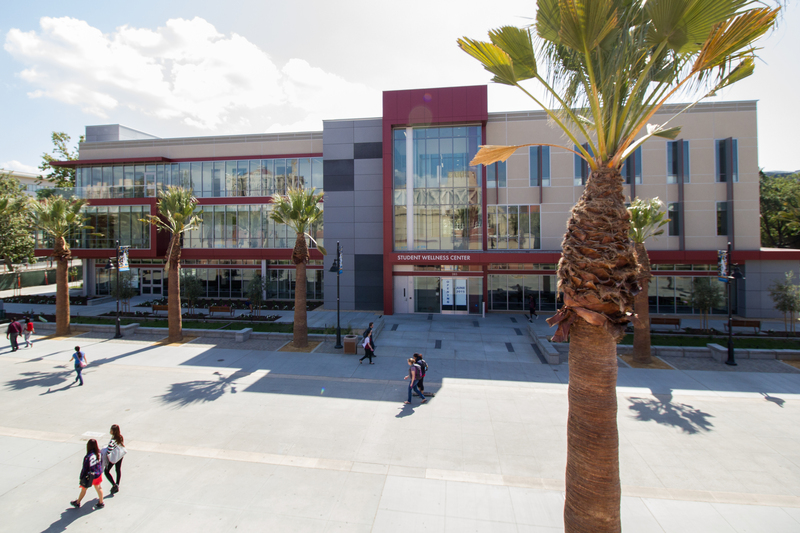 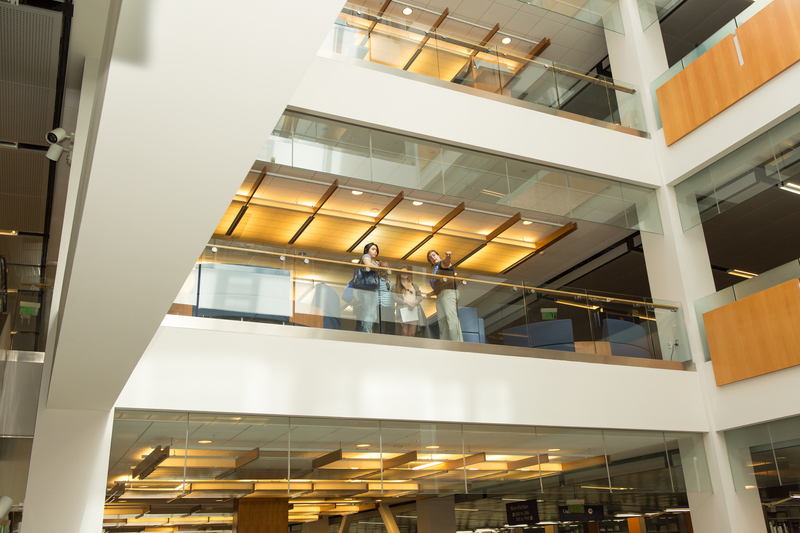 Student Wellness Center at San Jose State University (Photo: Muhamed Causevic). 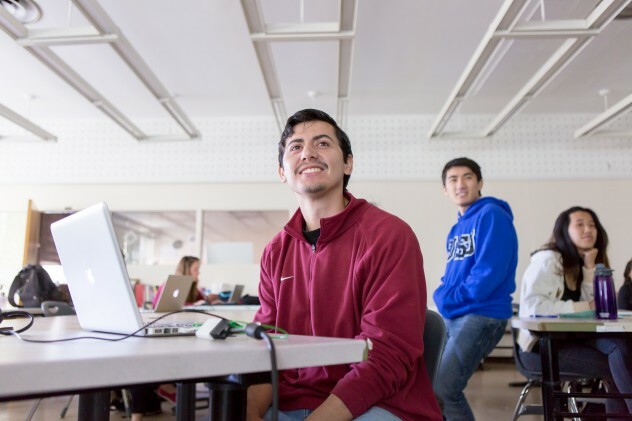 Classroom at San Jose State University (Photo: David Schmitz). 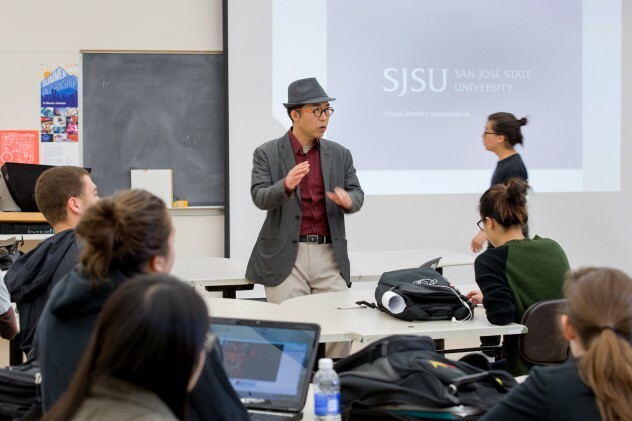 Associate Professor at San Jose State University (Photo: David Schmitz). 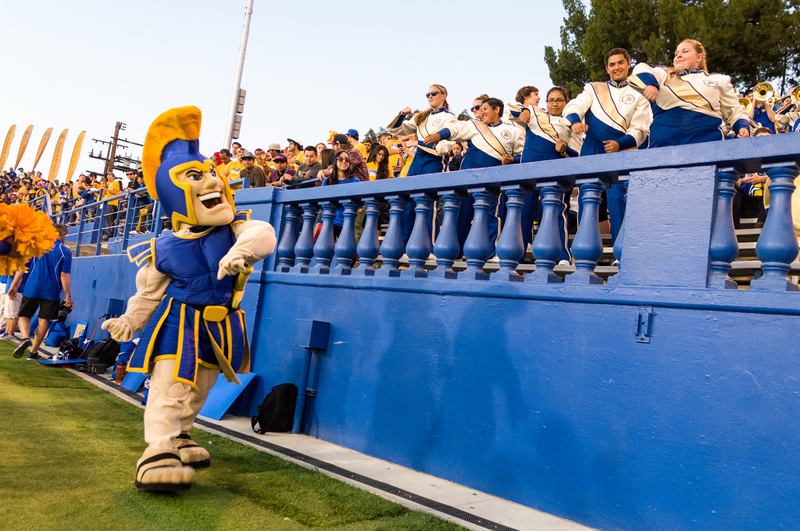 Sammy Spartan at Spartan Stadium (Photo: Brandon Chew). 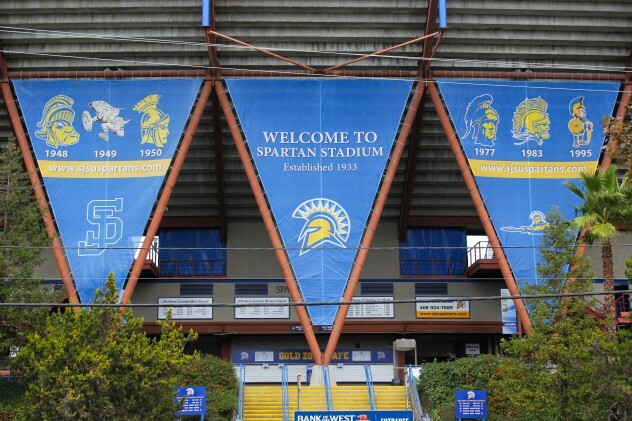 Spartan Stadium at San Jose State University (Photo: James Tensuan). Spartan Stadium at San Jose State University (Photo: Christina Olivas). 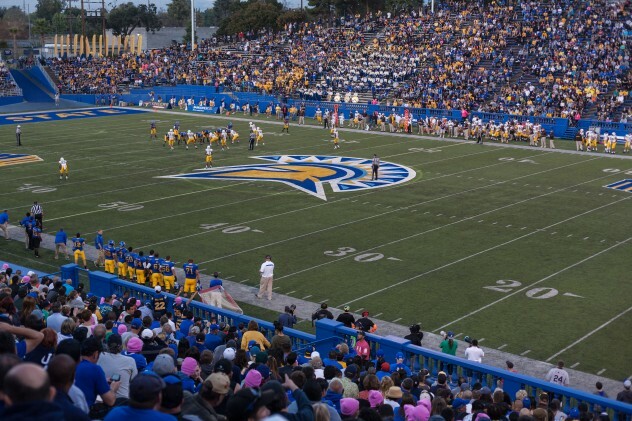 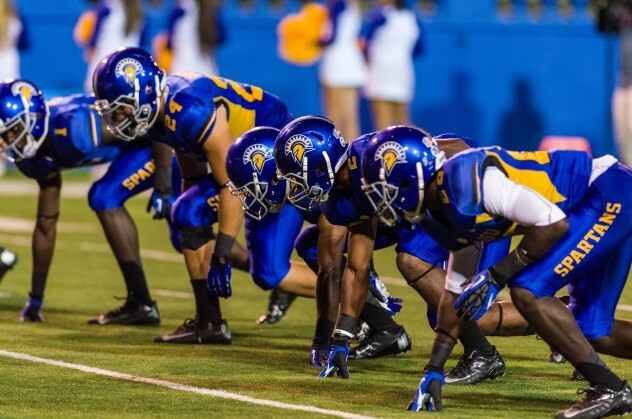 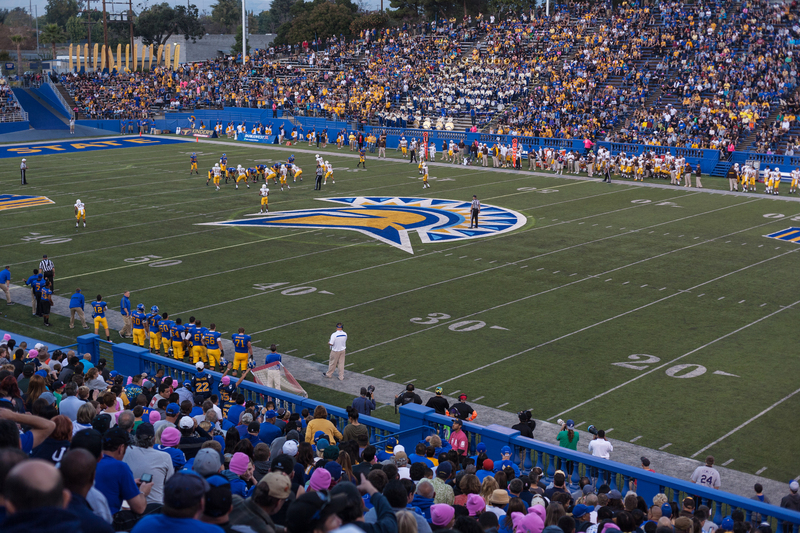 San Jose State University Football (Photo: Christina Olivas). 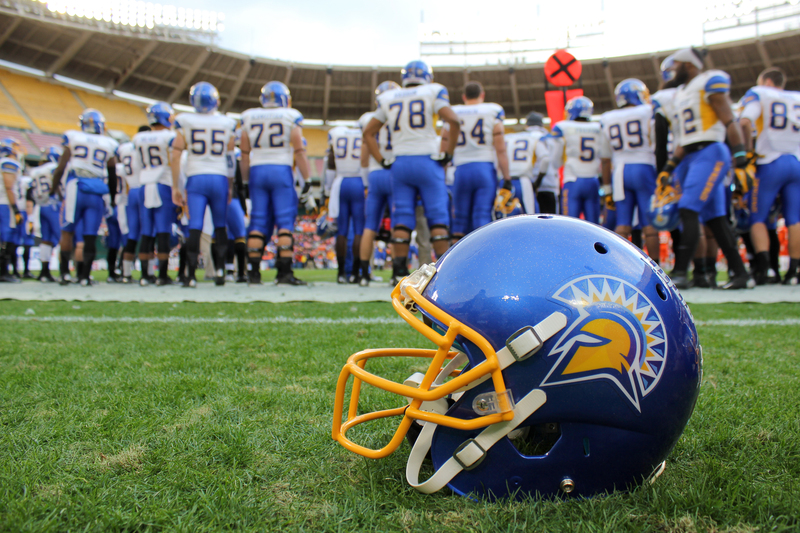 San Jose State University Football (Photo: Robert C. Bain). Click the image thumbnail and the picture will open in a new window. 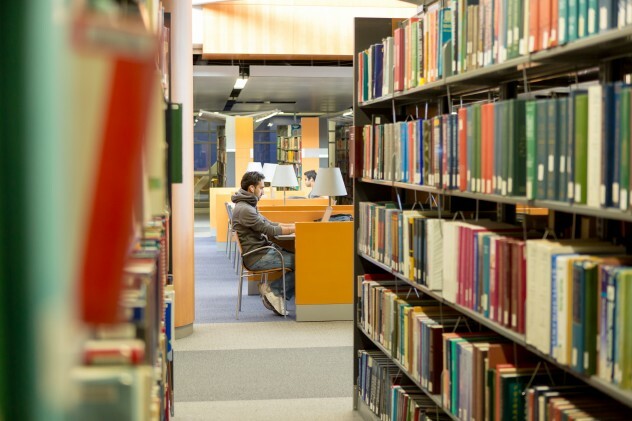 Learn more on how to save a picture from a web page for Windows.